These lyrics from the musical “Nine” played on repeat in my head all throughout last weekend, as we spent the day exploring the remnants of DC’s Italian immigrant population. 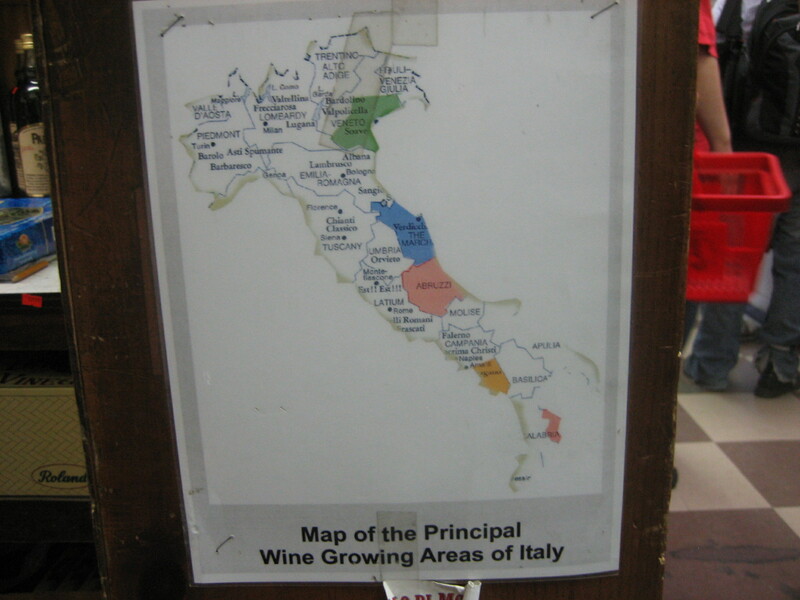 For little more than a $1.45 Metro or bus fare, you too can seek out two very Italian outposts in Northeast DC, near Gallaudet University, and emerge from the experience with more olive oil, fettuccine, and vino than you know what to do with! First on the list: Catania, a Sicilian bakery founded in 1932 by the Caruso family. Located at 1404 N. Capitol Street NE and currently under the slick operation of a family friend, Catania is only open to the public on Saturday mornings, from 6am until the bread runs out. Amazingly, the late Mr. Caruso purchased the building in 1932 for little more than $8,000, as his son, now in his late 80s, relayed to me in great detail. Unfortunately, young adults as we are, we arrived at noon, too late for any of the loaves or rolls that Catania is famous for; rather, we were able to nosh on biscotti, cannoli, and banana nut muffins. They were incredible! The cannoli were rich but not sacchrine sweet, the biscotti were flavored with deep almond and did not get too soggy when paired with morning coffee, and the muffins were flavorful and more than substantial. It was clear from an initial visit that Catania has many baked secrets to offer…. Catania is a must-see for DC residents, especially because we were told that the lease will not likely be renewed when the family friend who currently runs the shop retires. Next, just a short jaunt down the road, located in the sprawling Union Market that abuts Gallaudet at approximately 5th and Florida NE, we visited the unmatched A. Litteri’s Inc Italian deli and supermarket . 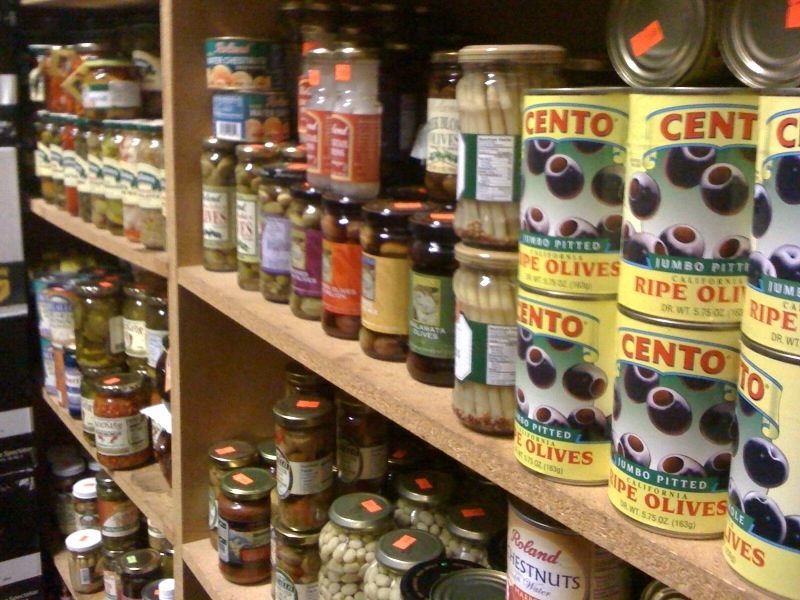 Opened in 1926 , Litteri’s is a magnificent one-stop-shop for anything your Italian family could ever hope for. Hundreds of different kinds of olive oils, balsamic vinegars, fresh and dried pastas, wines, polentas, and sauces litter the shelves in an orderly and methodical fashion. 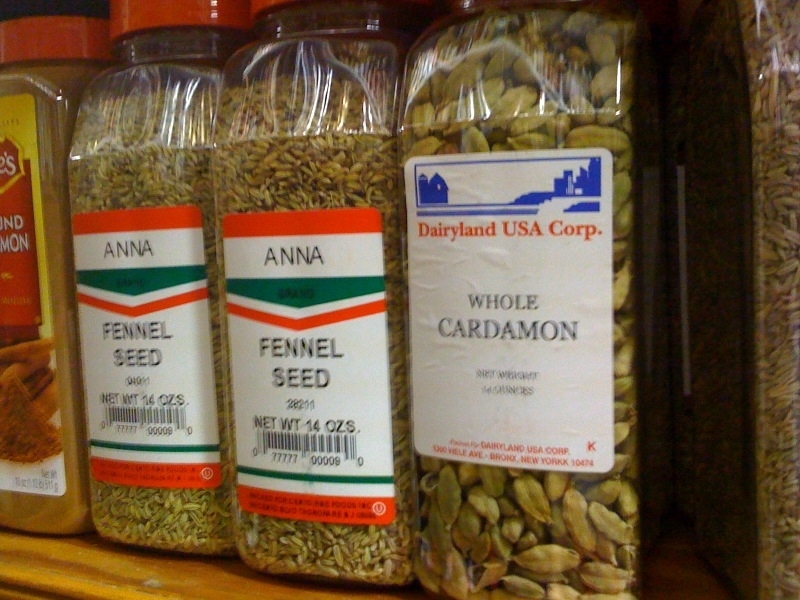 Another incredible component of Litteri’s, as well as many of the other ethnic wholesalers in Union Market, is the vast array and large quantities of spices sold at dirt cheap prices. As these shops generally function as wholesale stops for DC restaurants, it makes sense that one would be able to find 16 ounce jars of spices, but what a good find! Knowing that these accoutrements are here, I will never again shy away from the liberal use of oregano, garlic salt, or dried parsley in my amateur cooking! I do not have an ounce of Italian blood in me, but this little shop, with deli sandwiches to go and all the fixins’ of a great Italian meal made me realize how few ethnic markets remain in DC today. Both Sarah and I hope to devote future posts to ferreting out these vestiges of a time gone by. And of course, a trip like this lends itself to some kind of Sunday night dinner! 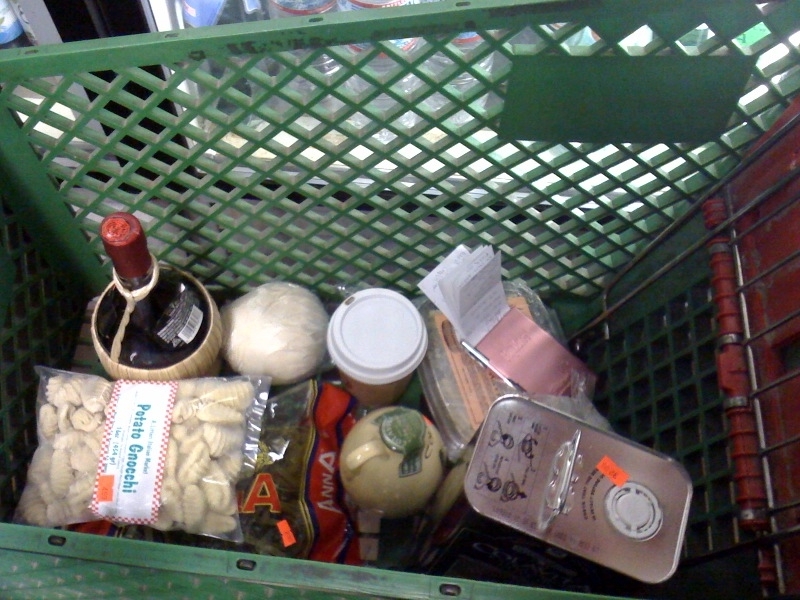 I hope to piece together the works for gnocchi with porcini and red wine sauce, courtesy of the Joy of Cooking sometime this week. And of course, the gnocchi were fashioned by none other than the pasta masters at A. Litteri’s! Both Catania and Litteri’s are worth you spending half a day perusing here soon. If you live on the 90s bus line, you are the most accessible, though the shops can be easily walked to from the New York Avenue Metro stop on the Red Line. Buon appetito, as they say! 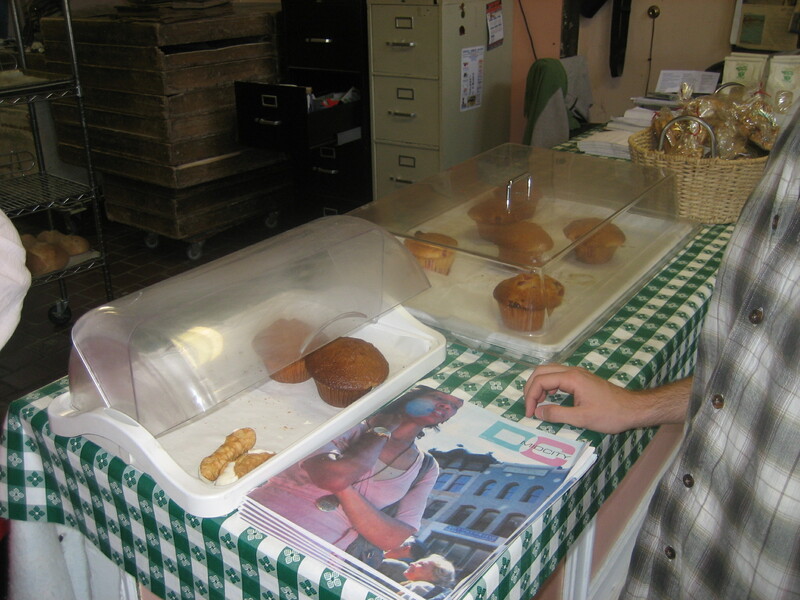 Catania Bakery, 1404 N. Capitol St. NE, 202-332-5135. Call ahead to ensure baked goods. A. Litteri’s, 517 Morse St. NE, 202-544-0183.